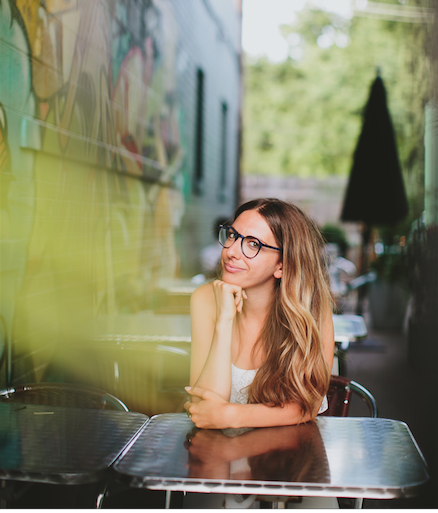 This week is the second part of my interview with Katie Dalebout from the Wellness Wonderland. Katie shares with us her view on nourishment and eating, perfect for the new year. AC: I love your program “Enlightened Eating” and totally agree with it. I think when you begin to look at your body, you really start to see how everything impacts your wellness. How you nourish your body can be a metaphor for how you cultivate your relationships your friends and family, your home, your work, the whole world, the universe… and your emotional self. KD: You know that saying “How you do one thing is how you do everything?” I find it really true. I think some people find their holistic lifestyle/wellness, through their body, some from healing an addiction, etc. Everybody has their route of how they came to this work and how they found their spiritual connection. For me, that opening, that gaping wound, was my relationship with food and my body. And for me, that manifested in an eating disorder when I was very young. At the time, I had no idea and didn’t think anything was wrong. It doesn’t matter what the scale says or how your clothes are fitting. Your habits and how you’re speaking to yourself around food is what matters. From a very young age, I decided that my body and personality were not good enough. I thought the quickest way to feel better about myself was by getting as thin as I could. Then I’ll feel good enough and I’ll feel safe, right? I would argue that most women have or have had an issue or a disordered relationship with food. Not necessarily just women, but men tend to be more “normal eaters” because they don’t have the body image standard. However, a lot of women are held to these crazy standards and it manifests in the way that they eat. When the way that you eat is out of balance, everything else will be too. I was so focused on eating that I had no social life and no life in general outside of controlling my food. I got high off of rigidly controlling my food. And I thought, “Oh, I’m so healthy, this is so high vibe!” That was the way I rationalized it, however that wasn’t what was going on. When your life is devoid of pleasures, you can’t be happy! My mentor, Isabelle Foxen Duke, shared this really powerful quote: “Pleasure and restriction can’t happen simultaneously.” It’s like you have to choose. I think it’s a balance, like issues with food are directly related to the issues you’re having with your body, with yourself. A food problem is directly related to a body image problem. They don’t happen away from each other. Eating disorders don’t happen in a vacuum. You wouldn’t care about what you were eating if you didn’t care about the way that you look. A big part of every eating issue is the issue with body image, and that’s something recently that I’ve been learning. Tell us more about Enlightened Eating and the story behind it. My Enlightened Eating Toolkit includes tips about mindful eating. I practice intuitive eating which is about listening to your body. Eating when you’re hungry. Stopping when you’re full. And occasionally, when you can, mindful eating. Mindful eating is eating with no distractions. Sitting down and being fully present for the meal. I don’t necessarily think you need to eat mindfully every meal. There are times when I’m eating an apple while I’m driving or eating while I’m talking on the phone or having a great conversation at dinner. That’s all well and good, but I think it’s really powerful to eat mindfully and really taste and appreciate your food every once in a while. The other part is to plan a little bit. The Enlightened Eating Toolkit has some planning tools in there. Intuitive eating happens in the moment, so planning to some extent is not. However, if you know you’re going have a busy week, you may choose to plan to always have easy things to eat on hand. I don’t enjoy cooking a ton but I enjoy eating. But I make sure I have easy, healthy foods available for me at all times. I’m not going into the kitchen starving, having to cook something and then end up eating while standing up half the meal because I feel like eating ingredients while I’m cooking, right? With just a little bit of mindfulness by being kind to yourself, you can acknowledge that you’ve got a busy week. So you get some ingredients and put something together ahead of time. Or you pick something up. Get to know yourself and be kind to yourself by not putting yourself in situations where your blood sugar is low and you start to get “hangry." Many people look at their eating habits for their New Year’s resolutions. What are your three tips for Enlightened Eating in the new year? As I said earlier, how you do anything is how you do everything. So my first tip would be non-judgment. Stop judging yourself right now. Don’t judge what you ate over the holidays. Don’t judge what you ate earlier. Now is a new moment. A lot of times we take one bad decision and make it a Pandora’s box that’s open so we can fly off the handle. I think it’s silly and how people stay stuck. It’s really awesome if you can forgive yourself in the moment instead. Use it as an opportunity to pivot and that way, it’s easier to come back, right? Eating one too many cookies is very different than eating the whole box, right? Before you’re on that rampage, use that moment of recognition as a time to pivot and say lovingly to yourself, “It’s okay you just did your old thing again, now is a time to resurrect the situation. Now is the time to begin again.” That’s better, because you don’t need 10 juice cleanses, 8 life coaching sessions and 9 yoga classes to come back. You can come back tomorrow. Bounce back and you’re fine. Not judging yourself is huge because you’re not going be perfect all the time. You’re just not. Acknowledging that and then using that as a tool is really important. Second is intuitive eating, or listening to your body. It’s okay not eating because it’s noon and then again because it’s six, because you ate a big lunch and you’re not hungry for dinner. Instead you have a little snack at 9 o’clock. Or maybe you want to eat dinner anyways and that’s okay too. Noticing the clues from your body: when are you hungry? when are you full? You might surprise yourself. You might need less food than you think you do or you might need more depending on what you did that day. Or how you’re feeling or what time of the month it is. Being aware of your body and listening intuitively to this guidance it gives you is powerful. Pleasure would be the third tool. It’s probably contradictory with many New Year’s resolutions. If you decide to start a special diet like vegan, paleo, gluten-free or whatever it is, that’s all well and good. Good luck, that’s great and good for you. However, if you do something you do not want to do for example, if you eat something that you didn’t want to eat, judging yourself is only going to keep you stuck. For every diet, there’s an equal and opposite binge. A binge doesn’t necessarily mean standing with the fridge door open and stuffing your face. It could be that you felt so deprived that now you’re going allow yourself to eat the thing you didn’t want to because you deserve it and you earned it. This is a way to refuse yourself any pleasure. So please make sure to allow pleasure in some way. Maybe it’s a healthy version of something that you love. Maybe it’s the real version but it’s in moderation. Being able to allow yourself to have those things you really like and not denying yourself of pleasure -- that’s real healing, that’s real work, right? When you can have those things, be present for them, eat them mindfully and then move on. 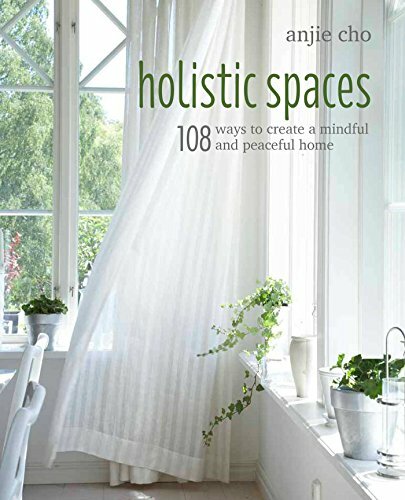 Finally, how do you create your own holistic space in your kitchen to support your enlightened eating? I clean my refrigerator a lot. When it comes to holistic spaces, a clean refrigerator is really important. And I don’t just mean literally wiping it down with a paper towel but also looking at the contents. For instance, why all the junk in the door? I sometimes have mustard containers that are almost empty. Time to toss them! I am a minimalist with what’s in the fridge. I don’t like to go to the grocery store once a week and buy a huge haul; that doesn’t work for me. I go to the grocery store like every 3 days and get what I need. It’s fresh. I know some people reading this might have different situations, for instance if you have a family, but for me it works. Like I’ve been recently doing a “capsule wardrobe” which includes a few essential items. It’s a minimalistic approach. Similarly, a capsule menu or capsule diet is really helpful. I basically have 3 or 4 things that I know I enjoy for snacks, breakfast, lunch and dinner. Three options for each that I know I like and I know my body likes. I know these options make me feel good, give me energy and are easy. And I always have those ingredients on hand! I also keep the kitchen really clean, especially in the pantry. I have little containers from Anthropologie for such things as spices that I use all the time. Anjie, you and I both love the fire water from our mutual friend Sacha Jones. Sacha actually got me into setting up a fire water station. I’ll keep my turmeric, ginger and all the other spices in a certain spot. And I use the same mug every morning for water, fire water and teas all day. Sacha actually made me that mug. On the bottom it says “In a Wellness Wonderland.” I use that mug every day; it never goes in the dishwasher. I rinse it out after I have my fire water, then have green tea in it, then drink a glass of water in it and so on. It stays in use all day when I’m home. At the end of the day I rinse it out. That ritual is actually really helpful. And I look at that mug and it immediately makes me feel happy. Before, I would get stuck with the decision of what mug to use, oh I can’t reach it the one I want to use, etc. I also incorporate the feng shui for the stove that I learned from you. I switch around the burners that I use because it’s multiple streams of income and opportunities for wealth! If people want go deeper into this work, you can download Katie’s Enlightened Eating Guide here. She also coaches people; info about her 3 month mentorship program here. She goes really deep into all the concepts that helped her and shares all the knowledge that she’s acquired. Finally, she also hosts a weekly Podcast.